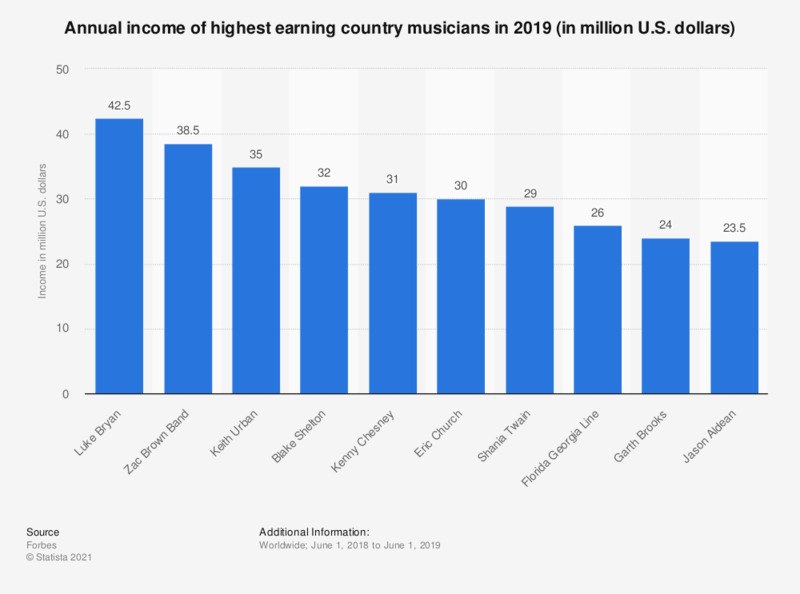 This statistic displays a ranking of highest-paid country music celebrities between June 2017 and June 2018. In that period, Kenny Chesney was the third highest earner, with an annual income of 37 million U.S. dollars. Ranking first was Luke Bryan with an annual income of 52 million dollars, followed by Garth Brooks with 45.5 million.